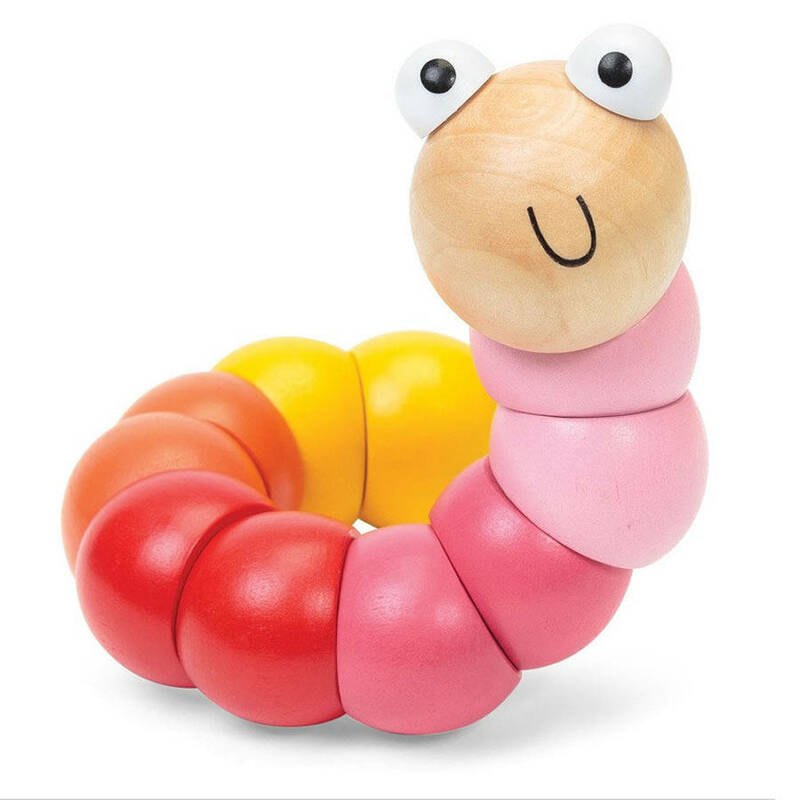 This wooden catepillar toy has jointed body sections linked together by an elasticated cord. 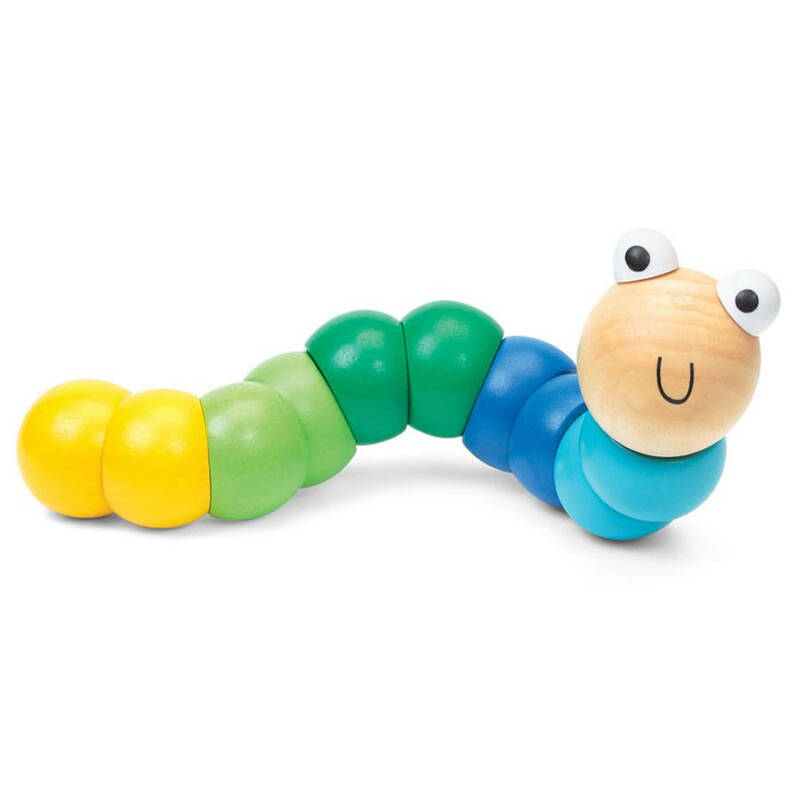 This jointed flexi toy can be posed into several different positions by twisting and turning the colourful sections so it wibbles and bends all over the place. 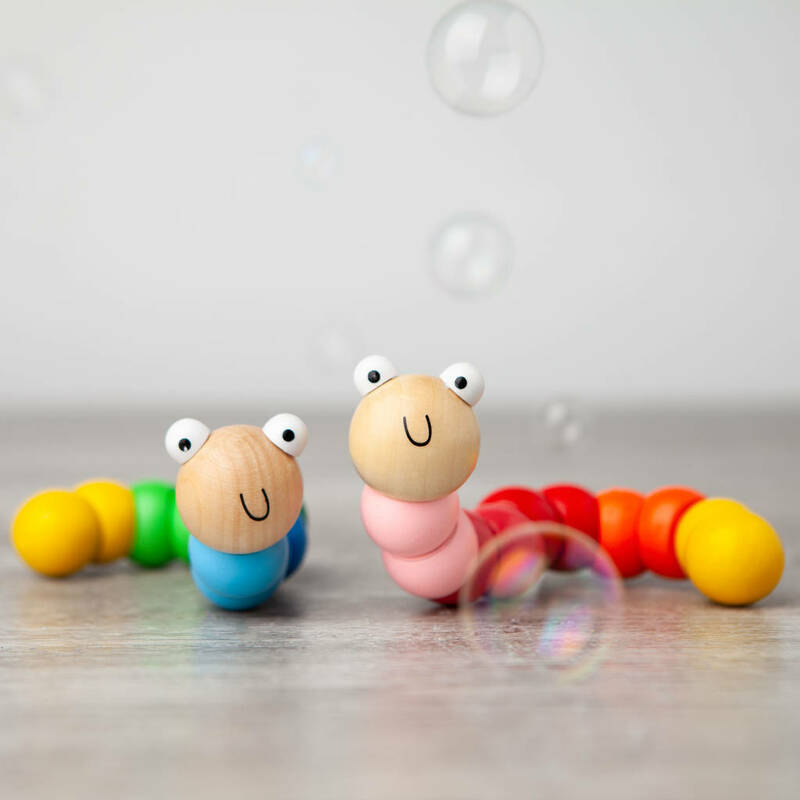 Features a natural wood head and five different body colours leading to a yellow tail. 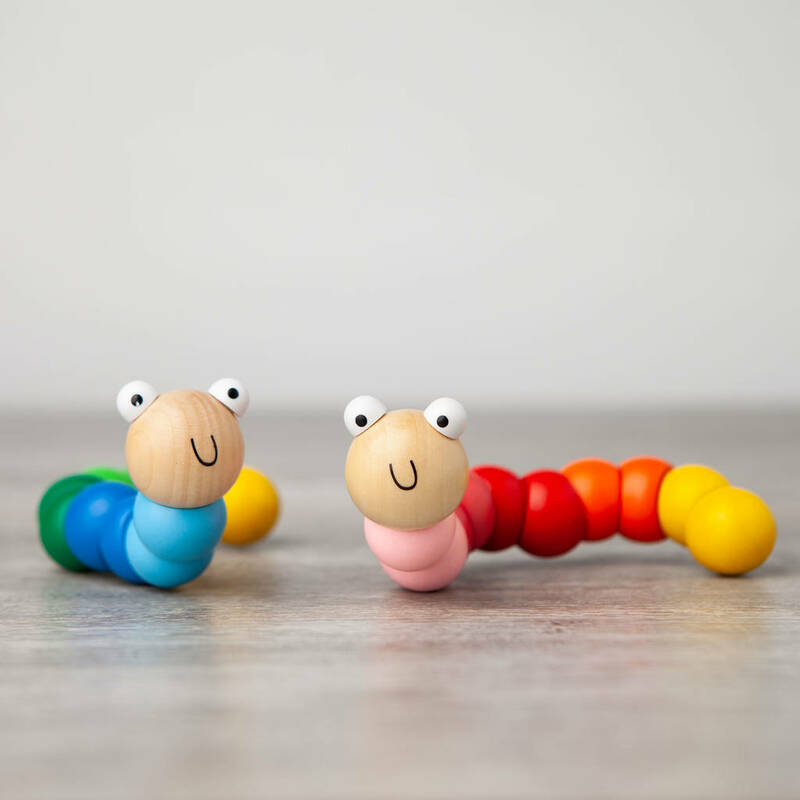 Great for small hands to play with and perfect those early motor skills. Mums and Dads enjoy having a play with it too!